G4 sports wb: 6ft. 8¼in. 4 cyl. G10 sports wb: 7ft. 6in. V8 cyl. G11 sports wb: 7ft. 6in. 4 cyl. 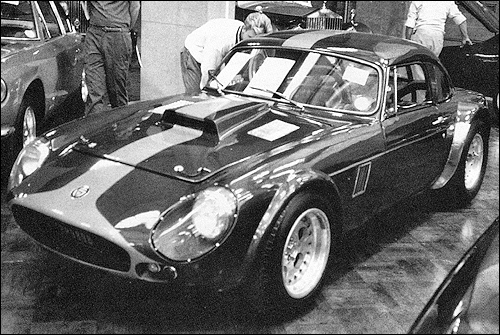 The super-Ginetta G10 with Ford Mustang V-8 engine proved unsuccesfull. G11 is similar to G10 but has MGB engine, running gear and even some body parts. G4 Series 3 gets completely new chassis with Triumph Herald / Spitfire front suspension. Redesigned body gets pop up headlamps.